As noted elsewhere, Ryan’s plan would convert Medicaid into a block grant program, giving federal money to the states which would then design their own programs for providing healthcare services to the poor and disabled. It modifies Medicare into what Ryan calls a “premium-support” program whereby beneficiaries currently covered by Social Security age 55 and under would, upon reaching retirement age, be able to select their own coverage from a number of private insurers, which would be paid directly by the government for the coverage. 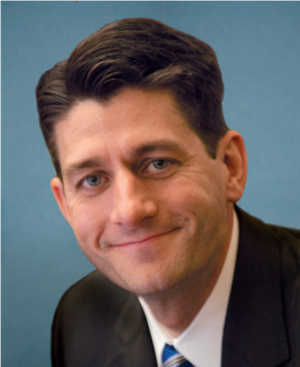 Ryan’s plan includes, as expected, overhauling the tax code by “consolidating brackets, lowering tax rates, and assuming top individual and corporate rates of 25%.” He claims such reforms to be “revenue-neutral,” which means that by eliminating various deductions and “loopholes,” revenue to the federal government would stay the same. But who’s the real extremist here? The one who recognizes that $10 trillion-plus in expected deficits over the next 10 years is a serious problem? Or those who insist there’s no budget program so bad that more spending and a massive tax hike on all Americans can’t fix it? No one seems to be interested in discussing whether cuts are being proposed for programs that should, under the Constitution, be abolished altogether. Ryan makes no attempt to end government funding of healthcare, and yet in his call to arms he still refers to the need for citizens to support this “equal opportunity for all under a limited constitutional government.” He doesn’t want the government to get out of funding Medicaid; he merely wants to change how the government controls the states in their management of it. He wants to “consolidate Fannie Mae and Freddie Mac,” not sell them off. He wants to “roll back expensive handouts for uncompetitive sources of energy,” rather than eliminate those handouts altogether. He’s willing to give the Defense Department a pass on spending cuts, even though cuts could obviously be made in military spending without harming national security if the United States were to stop intervening in foreign quarrels and adopt a noninterventionist foreign policy. He continues to support the role of the federal government in providing job training and scholarship programs. He’s willing to let the number of federal government workers decline through attrition without a word about whether the agencies they work for are legal under the Constitution. No mention is made of abolishing the most obvious of those tyrannical agencies, such as the EPA, the TSA, the Commerce Department, the Department of Energy, or the Department of Education. The $6.2 trillion in spending cuts Ryan is proposing over 10 years may sound like a gargantuan amount of money, but let us not forget that those cuts are based on changing projected future spending in the Obama budget, and that this is not the same thing as reducing spending in the absolute sense. Moreover, government indebtedness will continue to grow under the Ryan plan, for the simple reason that the currently projected $1 trillion-plus annual deficits—which are added to the total debt—cannot be eliminated by cutting an average of $620 billion per year. The biggest disappointment is the one citizens should have expected from Ryan and the GOP: the budget is (successfully, so far) controlling the conversation about who gets how much of the pie and in what form, without any discussion whatsoever about shrinking the pie itself or questioning the proper role of government in slicing up the pieces in the first place. This entry was posted	on Tuesday, April 5th, 2011 at 9:59 pm	and is filed under Politics. You can follow any responses to this entry through the RSS 2.0 feed. You can leave a response, or trackback from your own site.